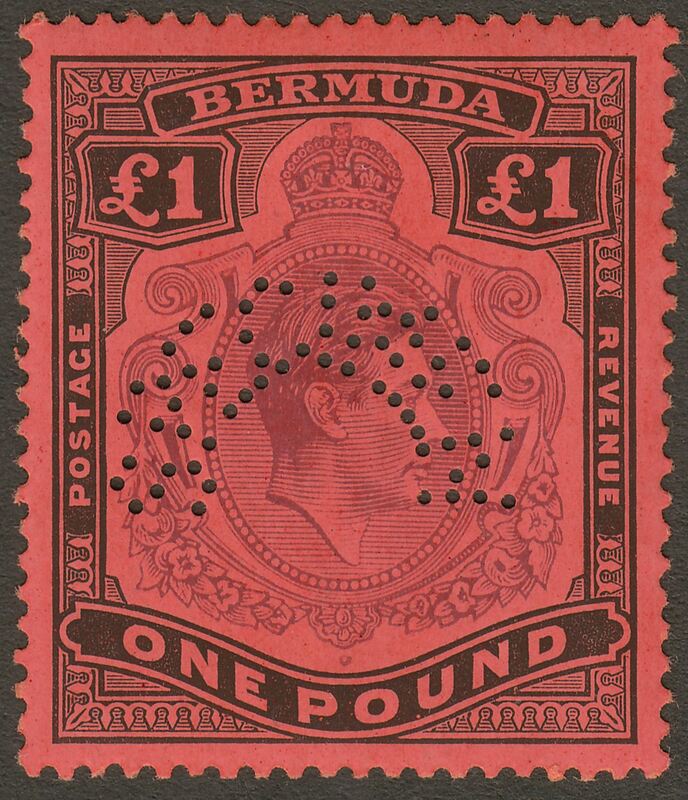 King George VI £1 purple and black on red perforation 14 Specimen perfin. With unlisted Frame Flaw - corner line in left-hand value tablet. 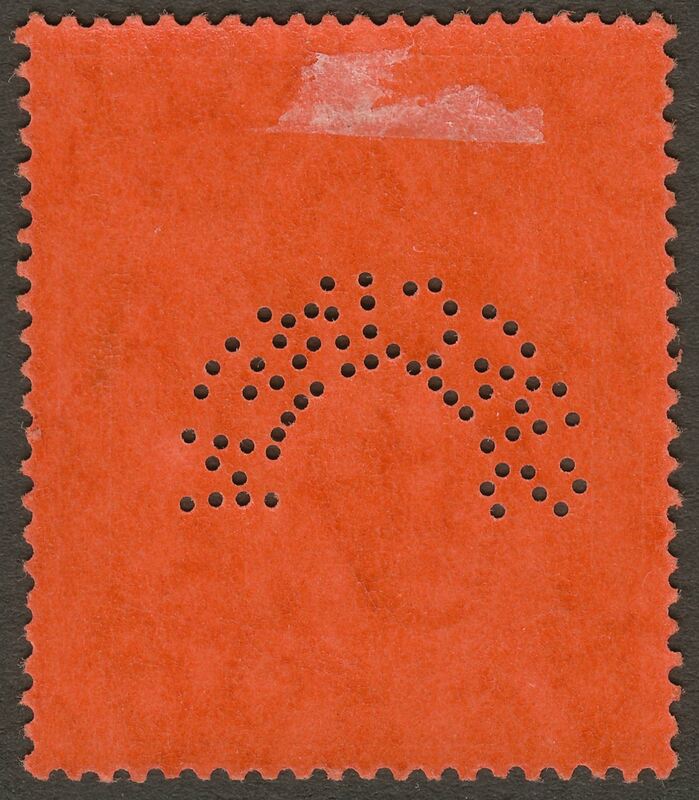 Mounted mint with small part hinge remnant.